…there is over-abundant, but stifled leadership material, and there can be no excuse, now that that potential of high quality is being manifested… Such potential compelled us to exercise utmost rigour in what proved to be a most daunting exercise. The final determination however is – the flag-bearer of the Young Progressive Party – KINGSLEY MOGHALU. They did not succeed, but that is no cause for despair. They still deserve the gratitude of Nigerians for their uniquely principled efforts. The CITIZEN FORUM – last heard of during the time of the dictator, Sani Abacha – was pulled out of retirement to join in their effort to arrive at peer consensus. The Forum worked peripherally with them. It made no attempt – I stress this – no attempt whatsoever to impose its own preferences, but utilised material from the deliberations of at least four such selection groups. It remained on the fringe, except on invitation. Our mission today is simply to present the result of that effort by Citizen Forum which, I am especially gratified to reveal, coincides with my own personal preference. The CF conclusion is obviously not binding on other groups or individuals involved in the exercise. May I take this opportunity to advise the public that neither Citizen Forum nor myself belongs to any Third Force or other consensus seeking councils by any other name. Please ignore any such attributions. There was nothing complicated about assessment parameters: mental preparedness, analytical aptitude, response to the nation’s security challenges, economic grounding, grasp of socio-political actualities, including a remedial concern with the Nigerian image in foreign perception etc. etc. not forgetting a convincing commitment to governance and resource decentralisation – commonly referred to as Restructuring. The Forum rejected retrograde propositions of a political merry-go-round, which urge the electorate to choose this or that candidate in order to ensure “our turn” at the next power incumbency. Overall, the exercise was exacting – but also therapeutic. It proved yet again that there is over-abundant leadership quality locked up in the nation, and that it is a collective shortcoming that the political space has not been sufficiently opened up to let such potential soar. Well, to cite the Chinese proverb: a journey of a thousand miles begins with the first step. Let me reiterate: there is over-abundant, but stifled leadership material, and there can be no excuse, now that that potential of high quality is being manifested, for constricting the political space in a population that is nudging two hundred million. And that statement is, of course, specially addressed to those who took part in this exercise, those who deliberately opted out of it, some of whom were assessed anyway. Such potential compelled us to exercise utmost rigour in what proved to be a most daunting exercise. 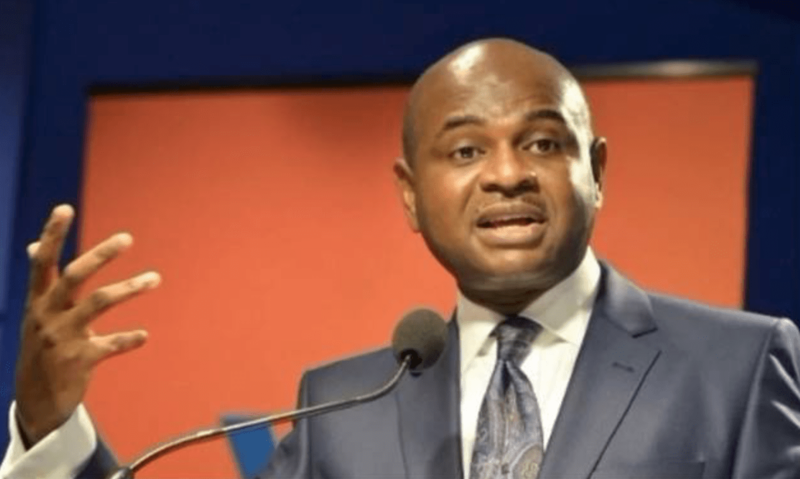 The final determination however is – the flag-bearer of the Young Progressive Party – KINGSLEY MOGHALU. I shall conclude with a somewhat interesting aside. I met Moghalu again on Monday morning, February 4th, and informed him of the Forum’s decision. During our discussion, I happened to ask him – what is the meaning of Moghalu? I was curious, because it had taken quite some time along the way for me to know to which ethnic group the name belonged. He replied, it means – “Evil Spirit, Leave Me Be!” Then I asked him for his other names and he spelt them out: “Actually my full names are Kingsley Chieedu Ayodele Moghalu”. Eyebrows raised, I asked: How come, Ayodele? A piquant revelation resulted: “Oh, that came from Mrs. Funmilayo Ransome-Kuti. She was friends with my father. Mrs. Kuti was my godmother, and she gave me the name Ayodele”.